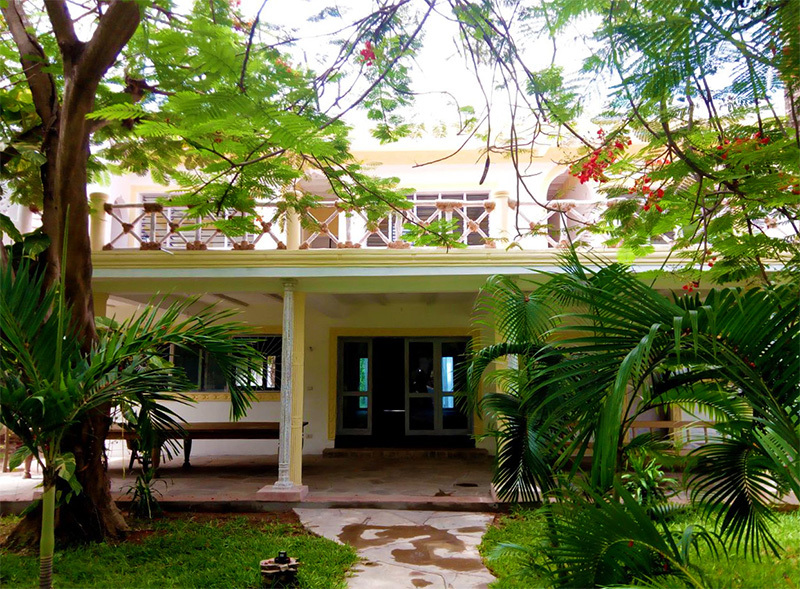 Beautiful sea front building in the historic center of Malindi, ready to be used as a Boutique Hotel or large private residence. The structure, elegantly finished in Arabic style, consists of a central building with three suites with services, living room, kitchen, veranda and hallway. More a large sun terrace with sea view and one with views of the park. At the entrance there is a fourth independent suite with services, and two dependance-cottage with makuti roof. In the grounds, surrounded by a lush tropical garden, there is a large swimming pool and a staff room and the guard's (askari) workstation. The entire property measures about one acre and has direct access to the beach and the entrance gate on the road along the promenade of Malindi. There are two wells, water and light connections, original property title. OTHER KEY PARK 1: CLICK HERE! OTHER KEY PARK 2 PROPOSAL: CLICK HERE!